"6 Steps To Effortlessly Attract The Right Man For You" – FREE Teleclass Replay! For a limited time, I’m making my “6 Steps To Effortlessly Attract The Right Man For You” Teleclass Replay available for free! In this Teleclass, I’m going give you the tools that will attract the RIGHT man for you – and inspire him to give you all the love, attention, affection, and commitment you want and deserve. To get instant access to this Teleclass Replay, sign up in the box below – you’ll also get my “3 Keys To Attract The Man You Want” report as my free gift to you! 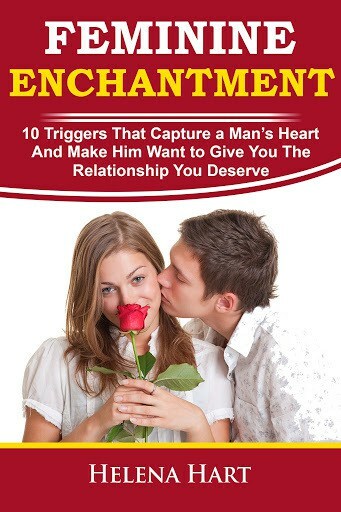 10 replies to ""6 Steps To Effortlessly Attract The Right Man For You" – FREE Teleclass Replay!" So glad you can make it, looking forward to seeing you on the call! Aww I really want to join but I can’t make that time I’ll still be at work, if I’m signed up I’ll get the replay? Yes, even if you sign up after the call is over the replay will be emailed to you. The teleclass was AMAZING, I loved it!! How do I get the replay? I want to listen to it again now that I’m home. Thank you, Sahar! I’m so glad you enjoyed it! The replay is available now, just enter your email address in the purple box and click on “Instant Access!” and you can start listening to it right away. Thanks Andrea!! I’m so glad it was helpful for you! Is this teleclass not available anymore? However, if you email me at helenahartcoaching@gmail.com I’ll personally send you the recording of this Teleclass if you want to listen to it.